There just happened to be a marathon Sunday and my lovely lady was running it. Forces led me to Minneapolis for the weekend and landed me into a vacation house filled to the brim with lady-marathoners. Okay, no problem. They were busy stretching or hitting up the Mall of America, I was watching football on the basic cable. Things were going good at the house until it was time for the Red River Shootout. Texas was taking on Oklahoma and this Big 12 boy was ready to watch them duke it out. Except, that’s not what happened. The house had CNN and some other cable channels, but no ESPN. Okay, great, so the game is huge enough for ABC, right? Not in Minnesota. It seems the Top 25 match-up between Wisconsin and Michigan State bumped the Shootout out to ESPN. It was just for the Wisconsin, Minnesota, and Michigan area too. Sometimes when you don’t have enough cable coverage, the regional stuff can kick you in the pants. It did for me as 2:30 rolled around and I was left scrambling for a television with ESPN. 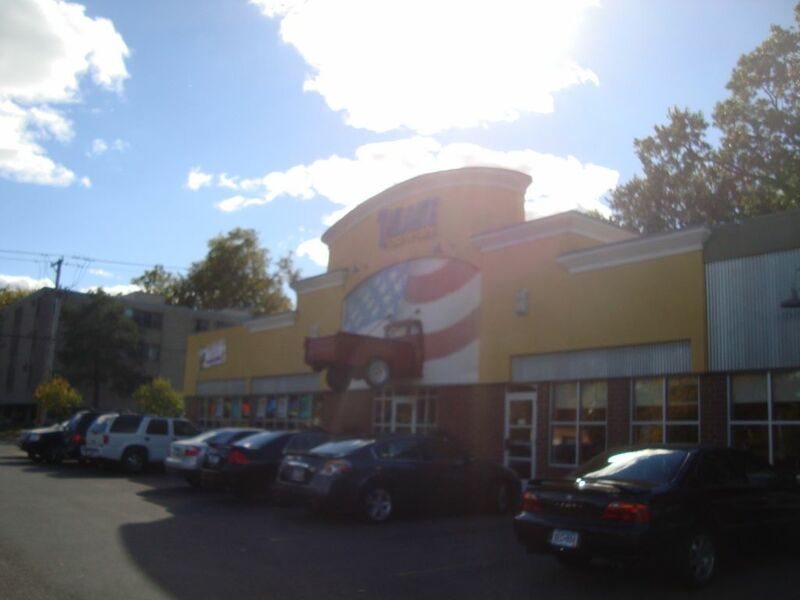 After a quick Google search and an even quicker phone call, I settled in on Tailgaters Sports Cafe. They had the game but I had no car. No matter. I said “See ya!” and let the ladies rest/stretch/do mall shopping prep work while I started walking to the bar. About 30 minutes and 2 miles later, I trucked right into Tailgaters. Walking it in, it seemed this bar came from about 2004. There were a bunch of standard definition televisions and a couple of flat screens. No wireless internet, but they had some stock arcade games. Okay so it wasn’t the greatest bar ever but it suited me fine. The service staff consisted of a fairly attractive bartender lady with broccoli and cheese soup along with other staff that were very forgettable. The bartender lady hooked me up nicely. 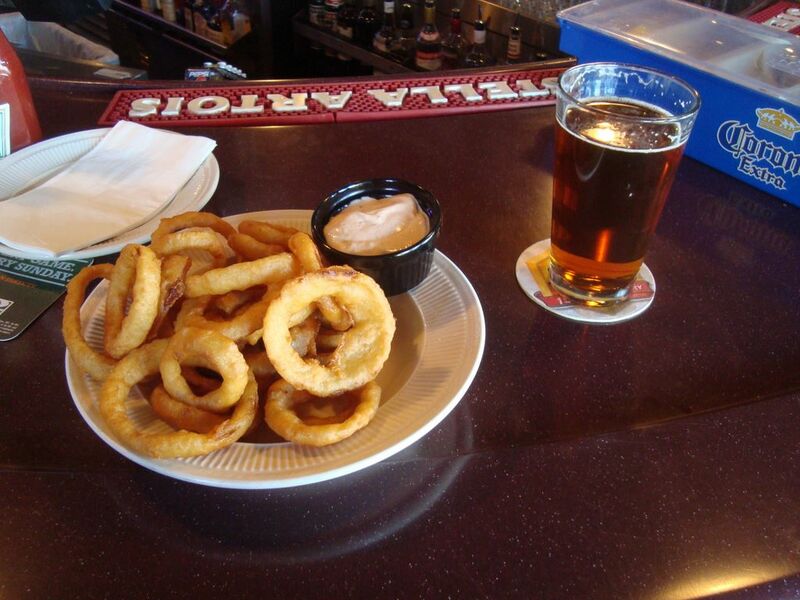 I wasn’t that hungry so I picked on some onion rings and a local brew called Summit Extra Pale Ale. The beer did a tasty job of washing down the thick dipping sauce with highly encrusted real onion. The crisp taste of the Extra Pale Ale matched the crisp autumn air. 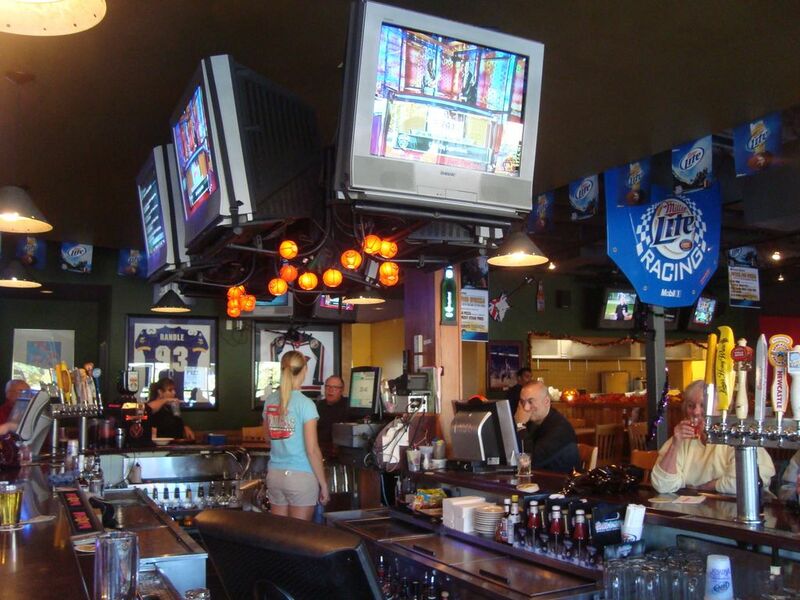 If you’re up in the twin cities, knock back a pint of the Summit. The game I walked all the way over to Tailgaters to see was the Red River Shootout. I didn’t expect it to be so lopsided as it was and I’m glad I missed the first quarter of the game. Oklahoma is the clear cut favorite in the Big 12 South and we may see a rivalry game as the Big 12 Championship game in Oklahoma vs Nebraska. Texas on the other hand, looks lost out there. It seems Mack Brown is trying to push at some places where he instead needs to pull. They’ll get better and will be back next year, but for now they need to figure out what they have on the field. You know, I didn’t watch the Wisconsin and Michigan State game but apparently the Spartans won that one. They look to take their undefeated record to their in state, and undefeated, rivals Michigan next week. The Wolverines almost gave one up to Indiana, but Denard Robinson came back in from an injury to score with under a minute to go in the game. I also missed the whuppin’ that Baylor put on Kansas. The Bears broke alot of school records and the Jayhawks broke any hope of showing up to a game like they did against Georgia Tech. Back at the house I checked out Florida and Alabama as well as Oregon and Stanford. Dud and dud, but nice come back from Oregon. That was all that would be had for college football over the weekend. The Twin Cities Marathon beat up my little lady but she toughed it through. I toughed the bitter cold to cheer her on. The great thing about her is not only her toughness, but how she likes college football enough to join me Barspotting instead of hitting up the Mall of America. While football wasn’t much at hand this past weekend, the time I spent with it and my lady was more than what I could ask for.